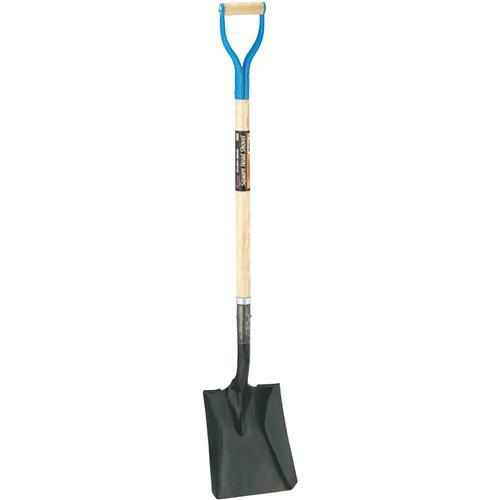 This 48-1/2" overall length shovel provides extra reach and ergonomic advantage to the taller user. The wooden handle is contoured to join the forged shovel socket with 8" of engagement, and is pinned with a steel rivet to avoid twisting. 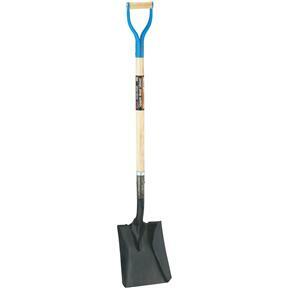 The 14 gauge steel shovel head measures 9" wide by 11" deep with a rolled top edge for a convenient foot hold.